Sankari's Sunshine Corner: 7 Days of Love: Day 6 - Love! I wanted to make a super simple-ish card and so I thought I would try to make a CASish card - such a hard card for me to make - I just want to fill it up with layers - but I really really tried hard not to - but kinda ended up doing layers anyway :) I used the You've Got Mail - Valentine stamp set from Taylored Expressions and created a little scene using the Rolling Hills dies along with the Cloud Border Die. 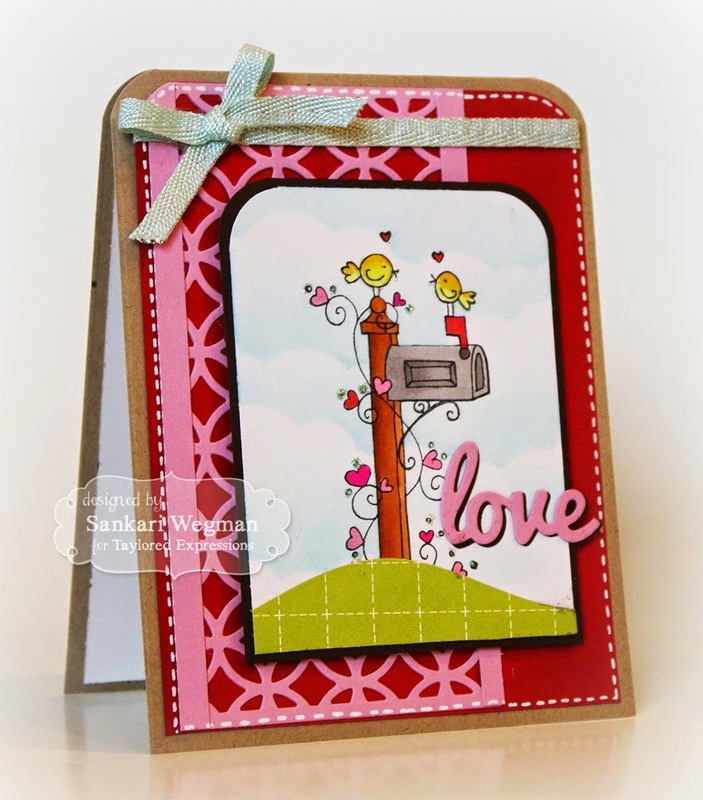 I loved trying to make a CAS card and really love how this ended up - can't wait to see what awesomeness Jen has created for today's love card - please hop over with me and check her creation out! Thanks so much for stopping by today! Please stop by tomorrow for my last card for these 7 days as we celebrate Valentine's Day!! YAY! This is out of this world cute! I love the little bit of cutting plate behind the main image and how you framed it out and the tiny bit of shadow behind the love die - stunning!